All you need to create the illustrated jewellery set. Use this kit to make a matching necklace and earring set with pearl effect. 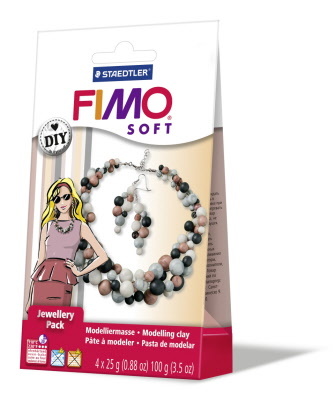 Contents: 4x25g FIMO Soft/Effect, wire and closure for necklace, earrings, instructions.